Colour lovers will enjoy a happy post day with this shapes design letter writing set. We all love to receive snail mail and with this writing set you'll be jotting notes and sending post to your friends and family in no time! 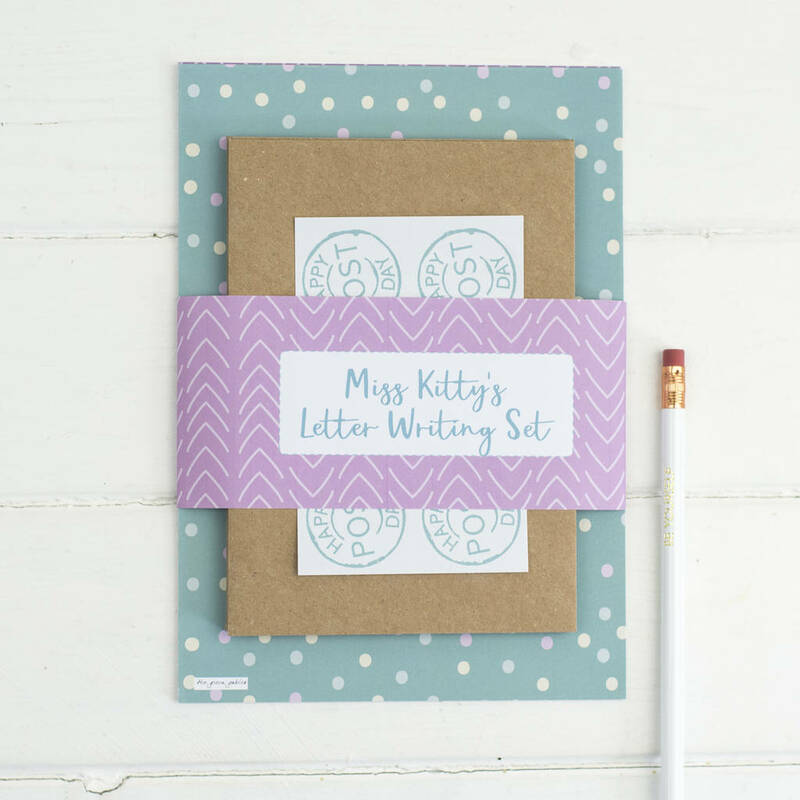 Treat a stationery lover to this set and they'll write letters for weeks to come. 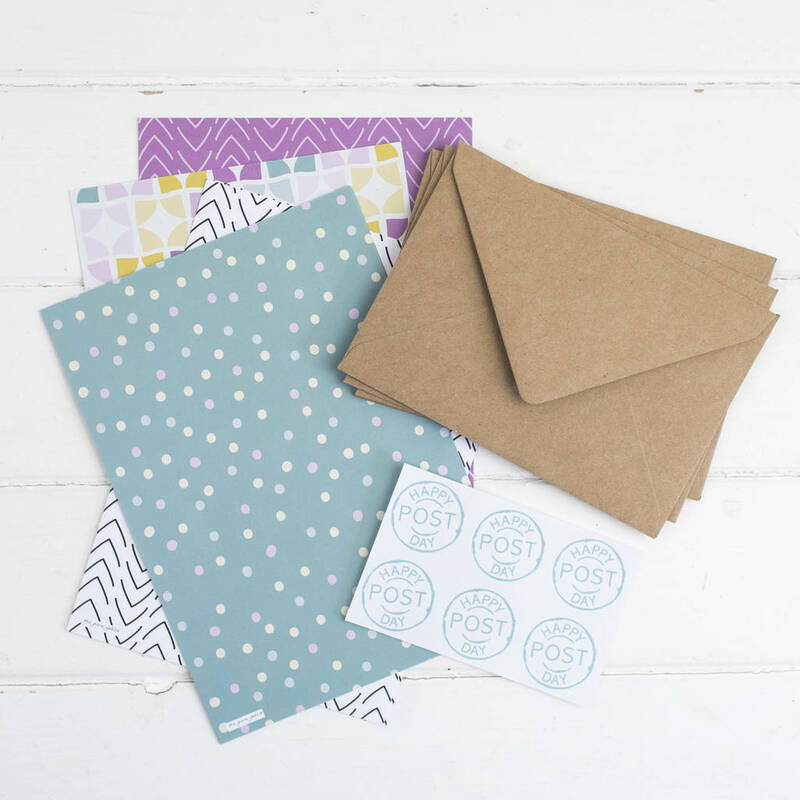 Each set includes 12 sheets of A5 size writing paper (three sheets of four different bright graphic designs, blank on the reverse), a lined paper guide, six brown kraft envelopes, and six Happy Post Day stickers. 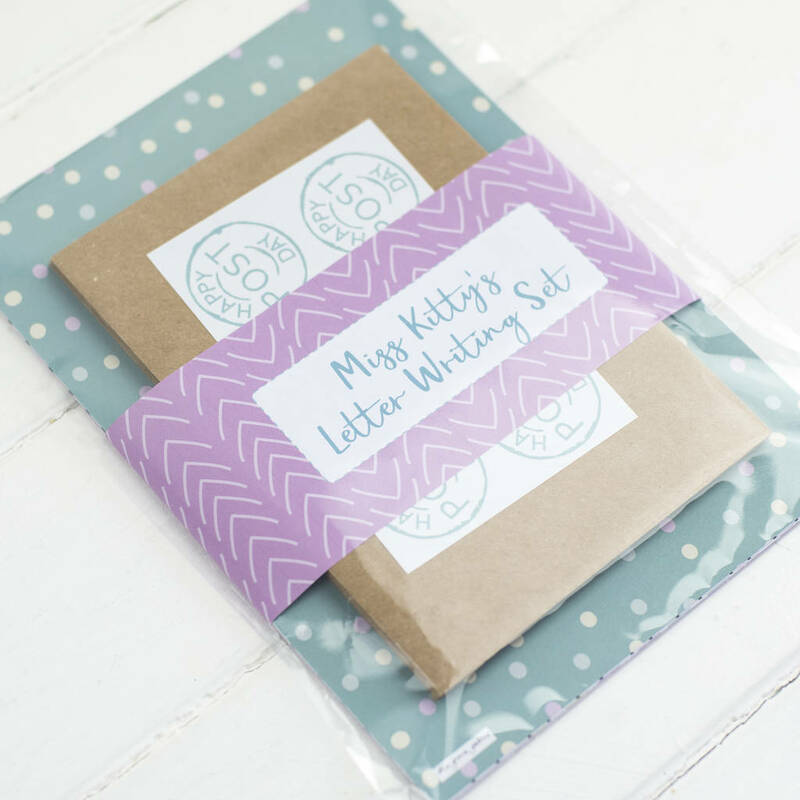 The stationery has a wide patterned paper wrapped around it, which can be personalised with a name, and the set is packaged in a clear cello wrapper. The writing paper, envelopes and stickers are all made with recycled paper and the packaging is biodegradable so it's a super green gift too! 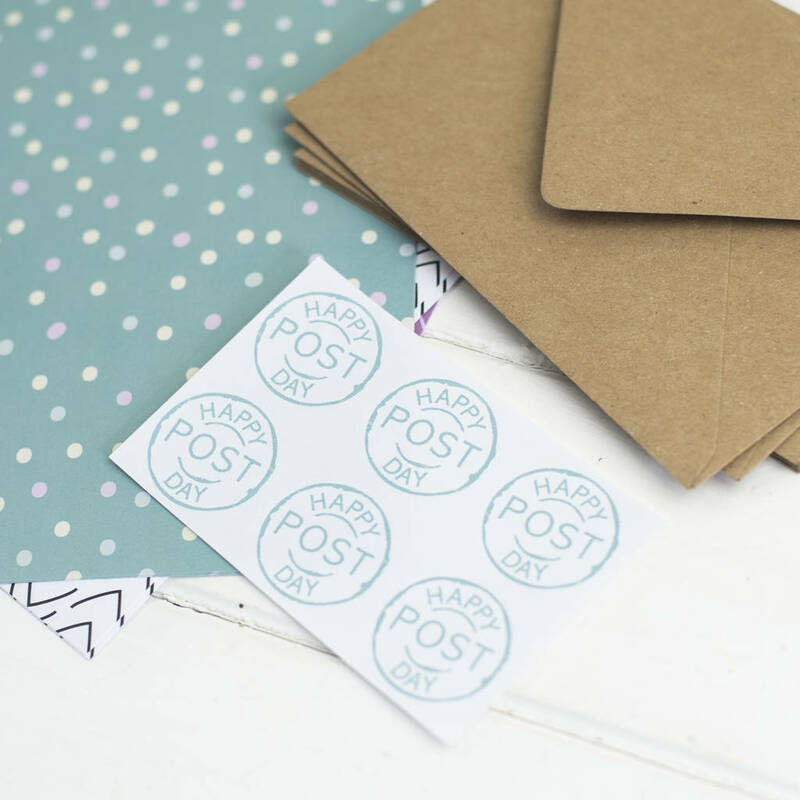 The letter set will be posted in a reusable bubble envelope to ensure it arrives with you in perfect condition. The paper and envelopes are made from 100% recycled paper. The stickers are printed on adhesive paper. The cello bag is made of compostable corn starch. The letter set package measures approx 21cm x 17cm.